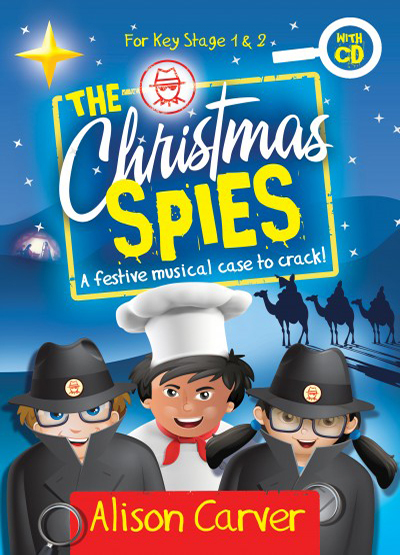 A festive musical case to crack! Snoop and Creep, two spies, arrive at the court of King Herod and discover he is in a rage. Three wise men have recently visited the palace asking to see the newly-born king. Herod thinks this baby will be a threat to his throne and sends the two spies off on a mission to follow the wise men and find the baby. Accompanied by Crackers, a cook, they travel to Bethlehem. But will the spies manage to solve the case? Suggestions for props and costumes are listed in the script.